Ah, summer: season of novelty print frocks and tropical fruitfulness. 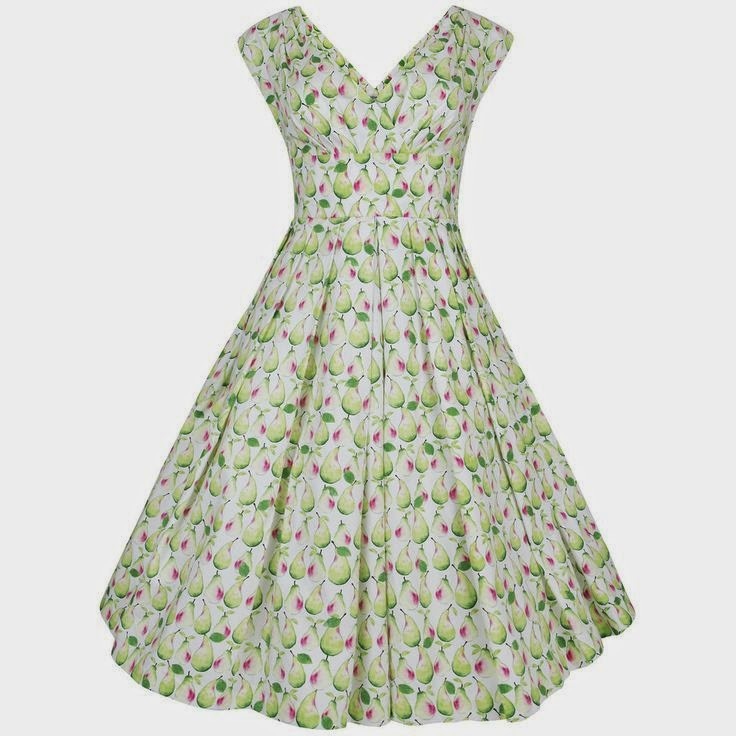 Oranges and lemons; cherries and strawberries - fruit are in season right now, found all over gorgeous frocks and fabulous accessories. And, where better to start our fashionable forage than with this peach pear of a dress? 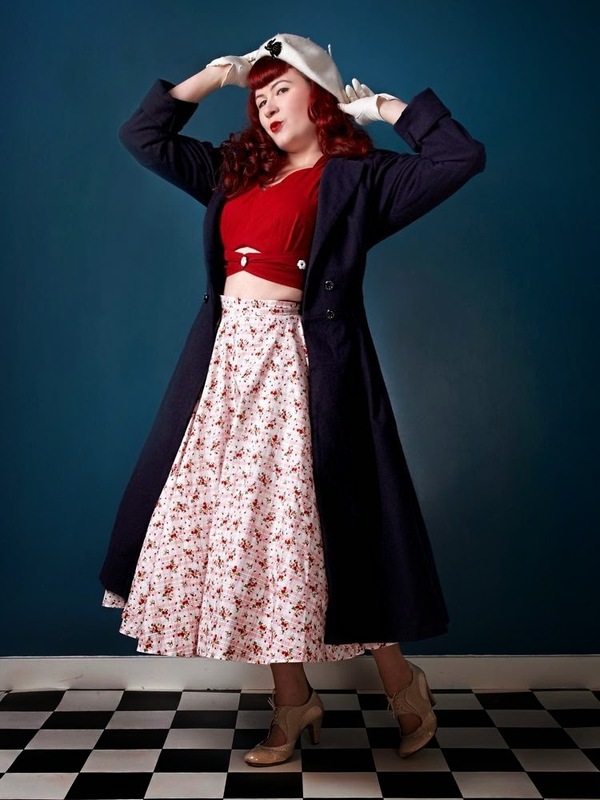 Its full-on full-skirted 50s style is £139 from Dollydagger. Summer is all about eating cherries. 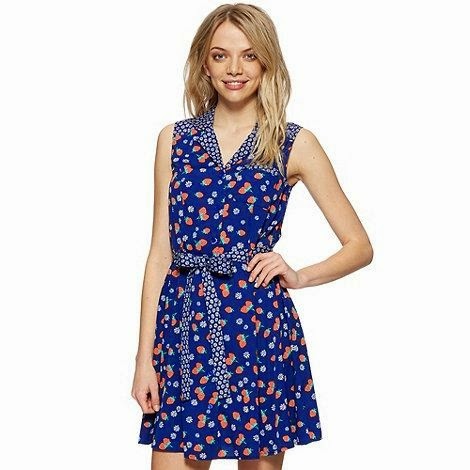 We included a gorgeous cherry-pattern wiggle dress in our Retro dresses round-up, but if you favour a fuller skirt, check out this cherry collar tie dress from Bettilicious. There's the added bonus that it has been reduced to £57 too. I'm a sucker for a sweetheart neckline, and combining that with a cherry print makes for something so cute it almost kills me. 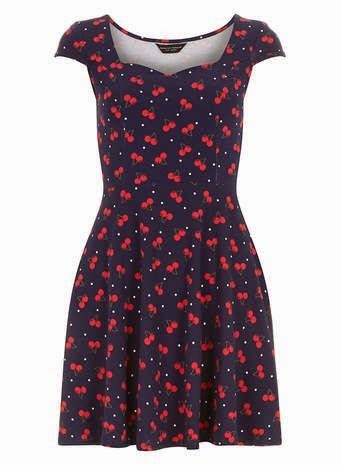 This cherry print sweetheart dress is a bargain £18 from Dorothy Perkins. 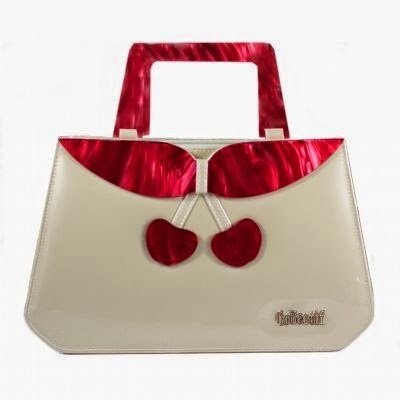 Collectif are a brand who understand the retro appeal of a cherry. Their cherry bag is a work of kitsch beauty. Pick from white or black for £54.50. And take a look at their very cute cherry cardigan while you're over there. We've been all about the pineapples recently. Still want more? 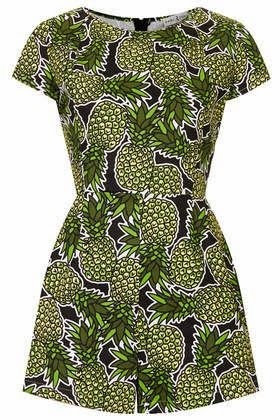 This pineapple print playsuit is by Rare, and can be ordered through the Topshop website for £39. If you are prepared to flash a bit more flesh, have a peek at Topshop's own sundress as well. 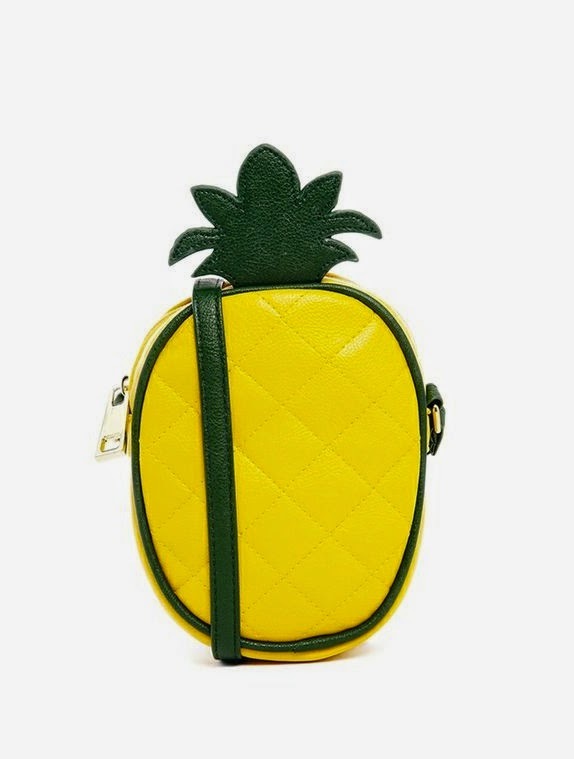 But I'm going to take my pineapple to go, thanks to this cross-body bag, a mere £18 from ASOS. 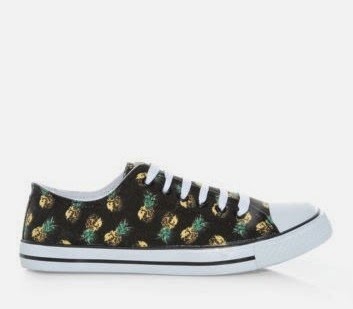 And hot foot it in these pineapple print trainers. At only £12.99, they're the perfect price, as well as the perfect print, for summer fun. Pick up a pair from New Look. The Wimbledon countdown has begun round DS HQ. Obviously, we'll be using it as an excuse to rock out this wild strawberry full circle skirt from Heyday. We can testify that its print is sweeter than actual strawberries and cream, and it's currently on offer for £40 (roughly the price of actual strawberries and cream at Wimbledon). Or Henry Holland has produced yet another marvellous print as part of his Debenhams collection. This short and flirty strawberry dress is £32. Of course you'll want some earrings to game, set and match. 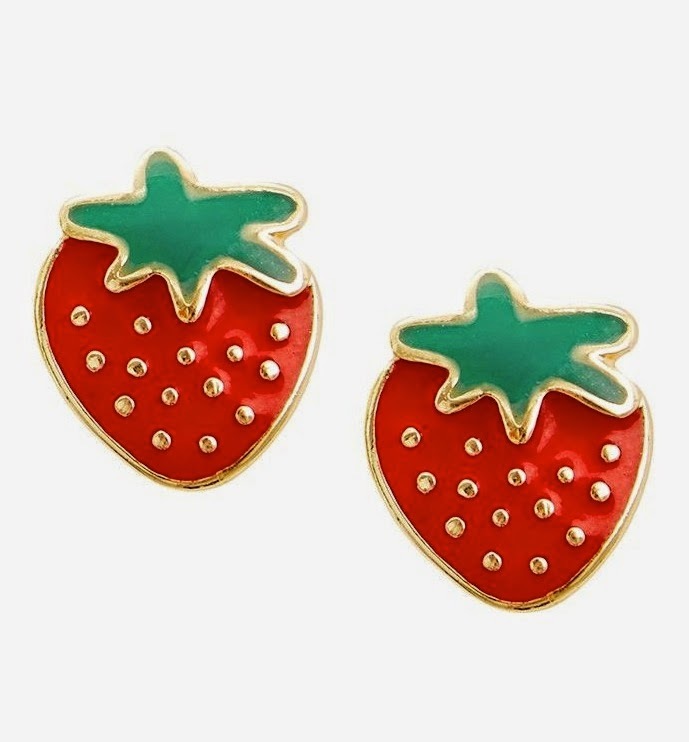 How about these Louche strawberry studs? They're only £6. 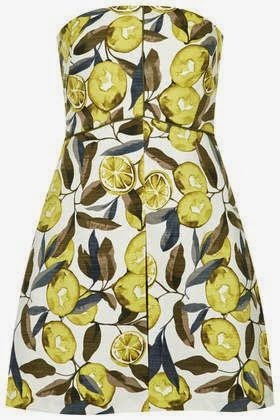 You can work citrus in style too, courtesy of Topshop and their lemon and lime bandeau print dress. It's £42. Accessorise with blazing sunshine and a cool gin and tonic. 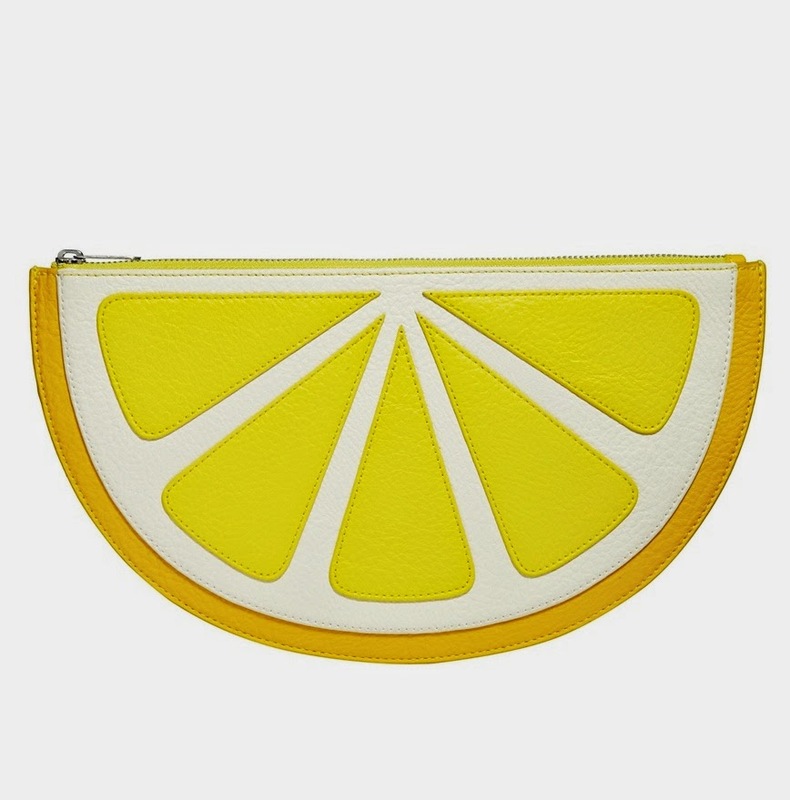 And perhaps a lemon with that too, in the form of Monki's lemon clutch bag. It's yours for £15 from ASOS. 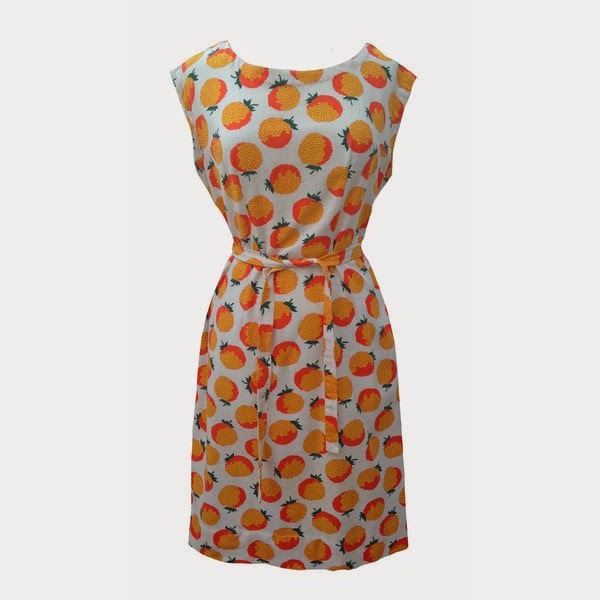 For some classic fruity flavour, this orange print dress is stunning: an original 1950s piece. It's £75 from Love Miss Daisy and we advise you to snap it up quickly before we do. If you can't bear to chose just one fruit, there's always the trusty option of the fruit salad. 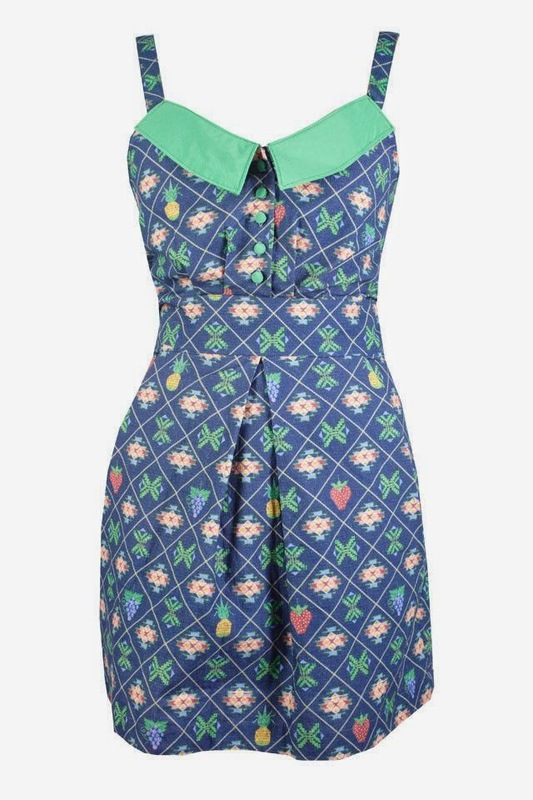 Lowie's fruit check dress features pineapples, grapes AND strawberries. Reduced to £36, it might just be my pick of the bunch. That's adorable. How much fun would it be every time you take your lemon purse out from your lemon clutch bag?! I have those New Look trainers! They're lovely. And actually super comfortable, given how cheap they are. Cheap and comfortable? That's a holy grail of shoes, surely. Even without the addition of the pineapples!